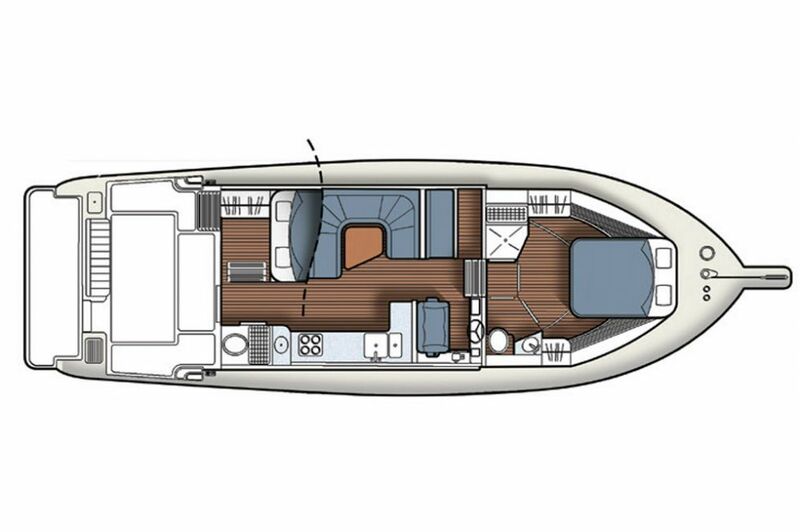 The Coastal Craft 45 - Redesigned. Redefined. Ready. 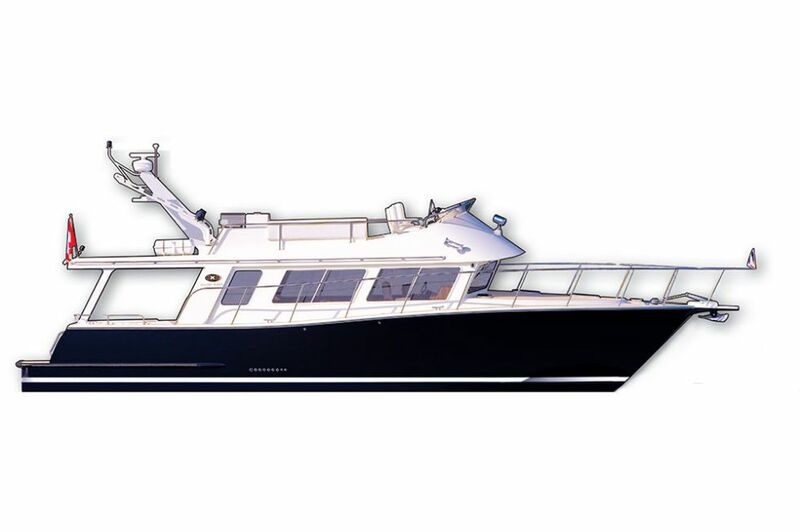 From Alaska to Florida, and west coast to east, the Coastal Craft 45 has a following that verges on cult-like. 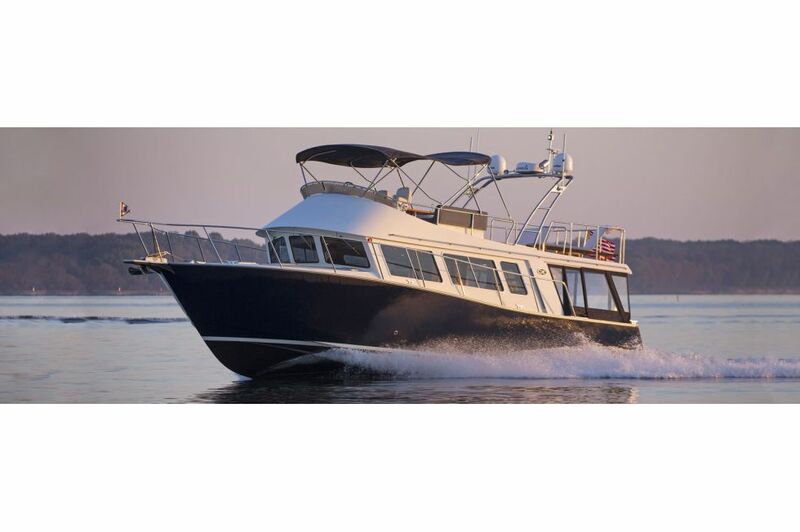 Whether used primarily as a fishing vessel, pleasure boat, cruising boat or luxury power yacht, the strength, performance and speed of the 45 is legendary. In any sea, she flies with a silent grace that belies her aluminum hull, hand built structural integrity and incredible responsiveness. 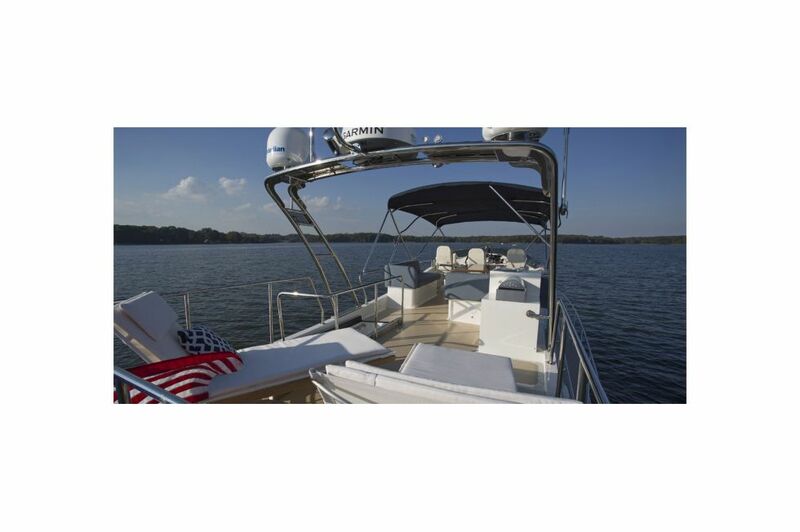 With or without flybridge, option-heavy or straight up, the 45 is what our owners call “hands down, the best boat I’ve ever owned”. 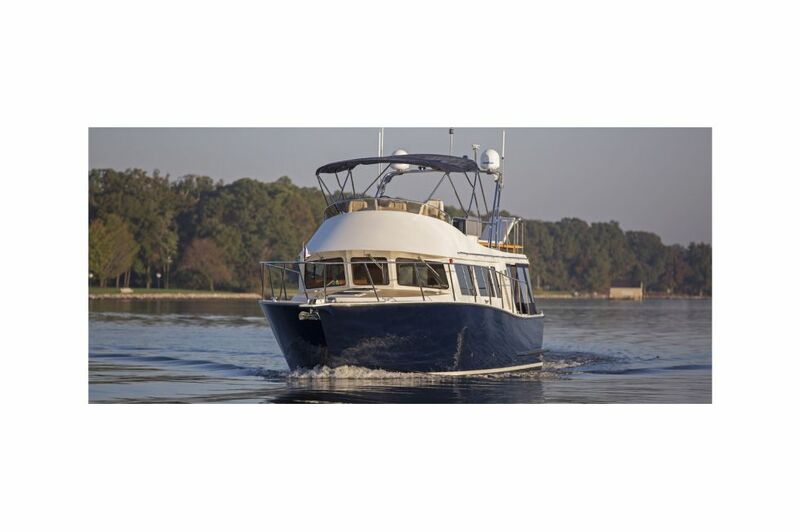 With twin Volvo® D6-435hp Diesel engines, propelled with the twin Volvo® IPS 600 drive system, the 45 redefines the cruising yacht, combining strength, speed and luxury unseen in its class. 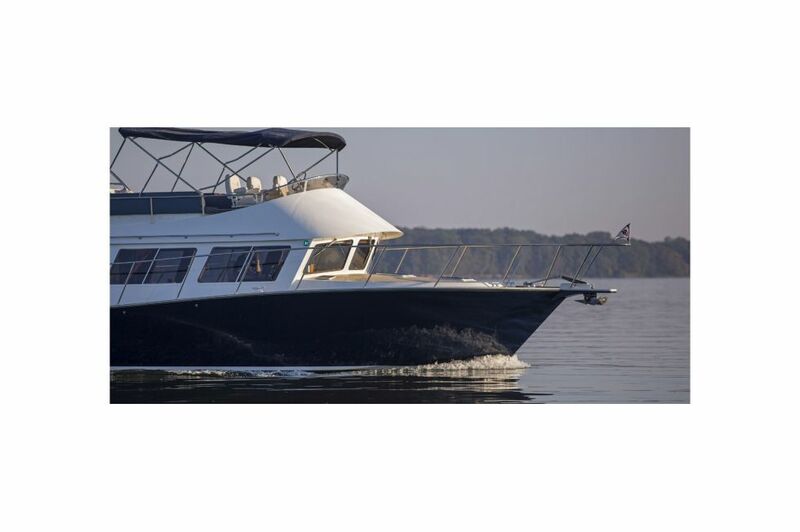 With her aluminum planing hull creating a low weight to strength ration, she achieves a top speed (at half load) of 33 knots, and a maximum cruising speed of 27 knots. 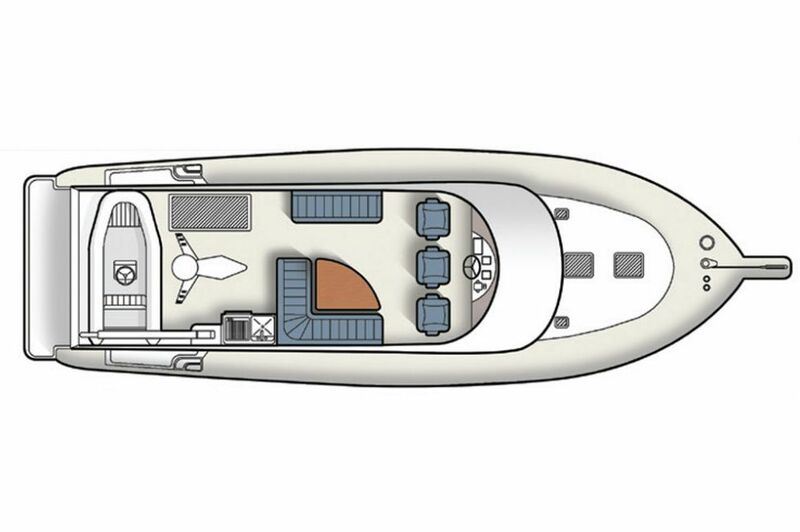 If it is comfort and cruising you seek, you have found it, with a 1500 nm range at 7.5 knots. 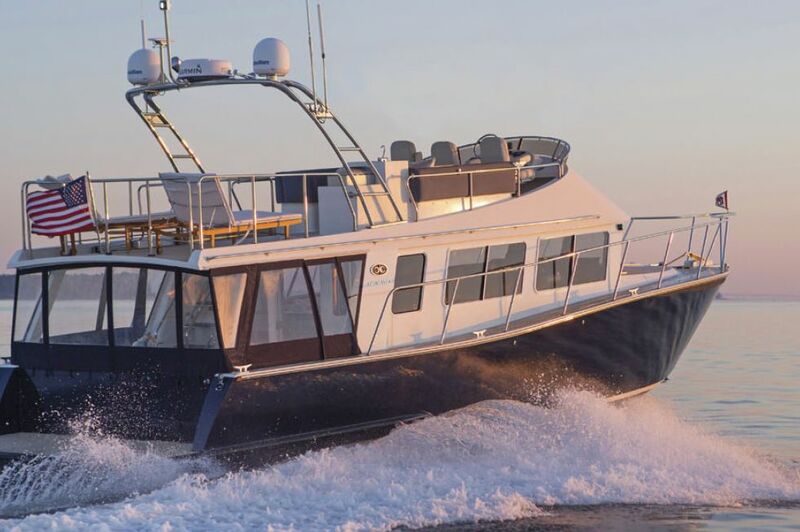 The 45 handles Alaskan waters with the same powerful equanimity with which she navigates the Florida keys: with a quiet grace backed up by instant escapeability. 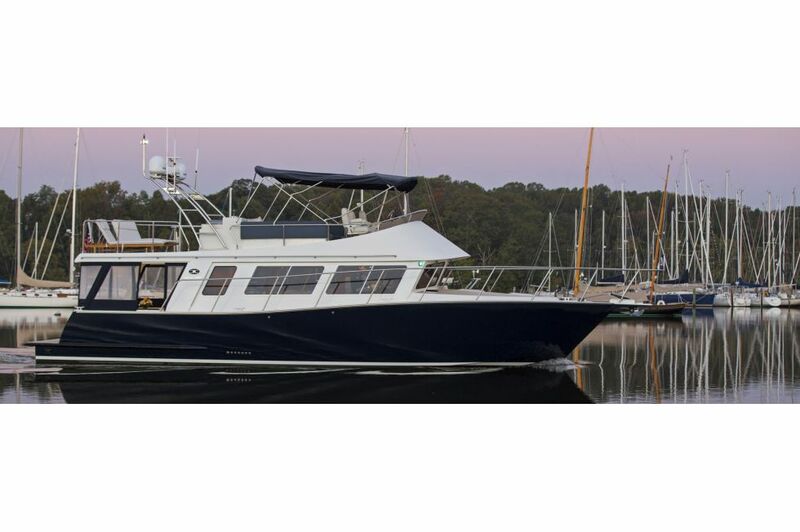 She offers 3 different helm stations — the main helm in the lower cabin, an upper deck helm on the Fly Bridge, and an additional helm station in the aft cockpit which is ideal for fishing, crabbing, docking, or any other piloting situations. 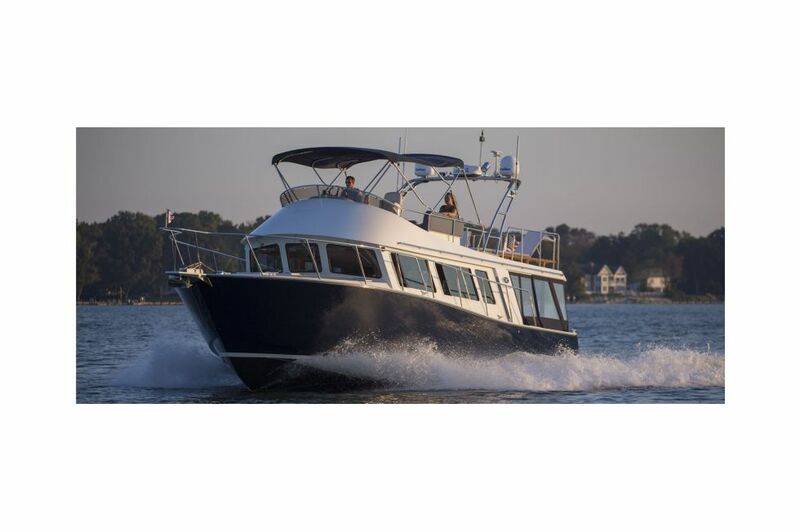 Luxury reigns in the interior salon where you will find a ceiling-mounted entertainment center with a LCD TV and Bose sound system to add to the enjoyment of any day or night’s cruise. 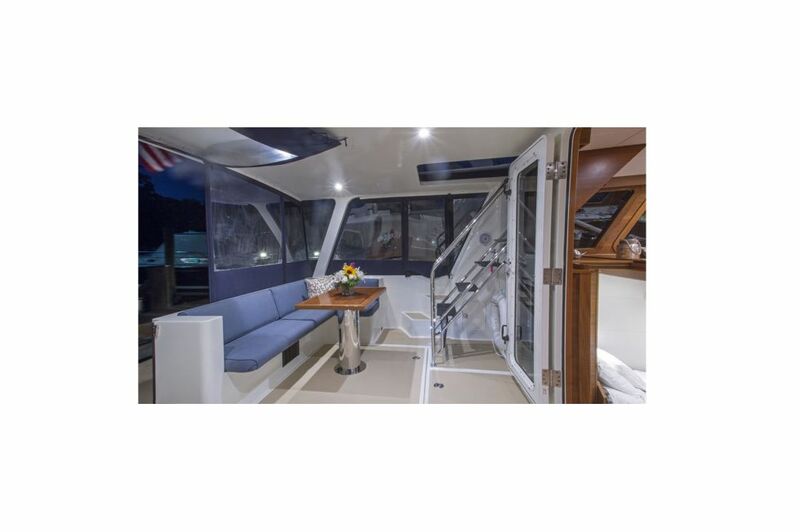 A comfortable settee with under-seat storage converts to an additional berth, and the well-equipped galley features a full-size Sub Zero refrigerator, built-in freezer compartment, gas range, microwave oven and Corian® countertops. 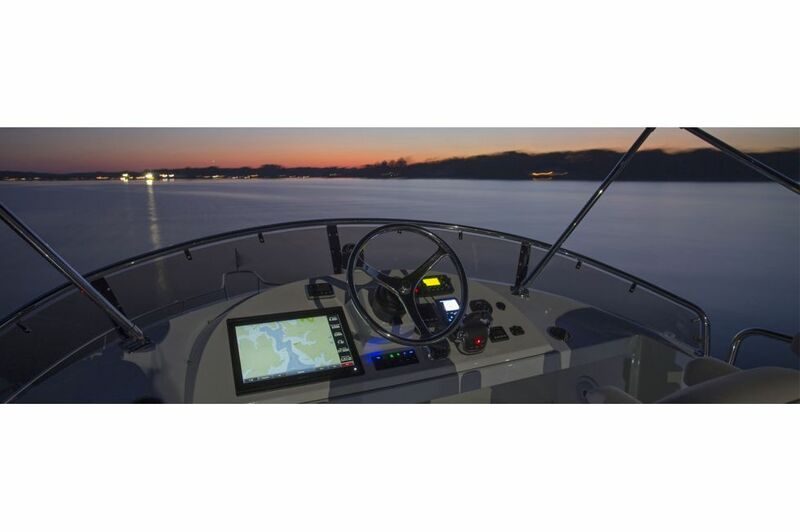 E-Plex® switching and monitoring puts her controls at your fingertips, as does her IPS Joystick, for ease of handling.